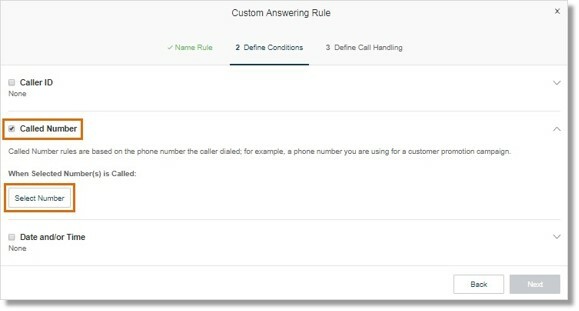 Account Administrators can set up a custom answering rule based on the phone number your clients have dialed. 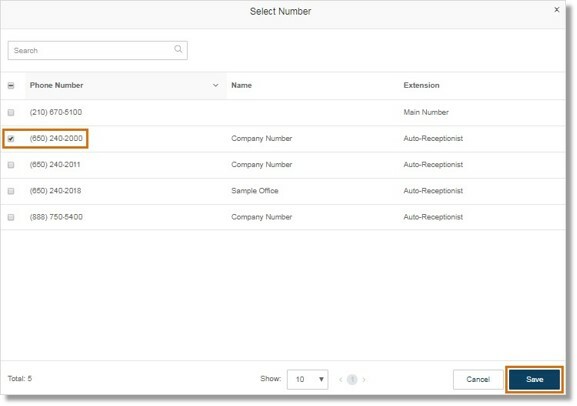 Account Administrators can set up advanced or multi-conditional company call handling rules. These advanced rules can be based on the following conditions: Date and/or Time, Caller ID of Incoming Calls, and Called Number, which refers to the number a caller dialed. We will make use of the Called Number condition on this article. 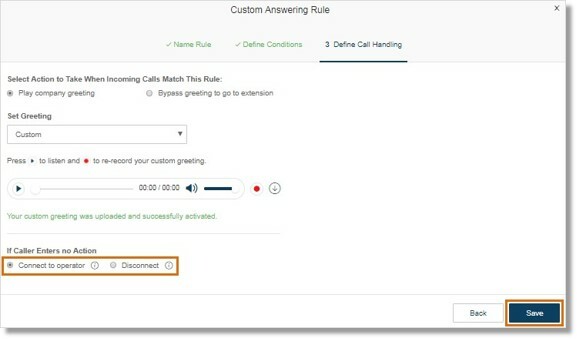 The Called Number rule is based on the phone number your clients dialed; for example, a phone number you are using for a customer promotion campaign. 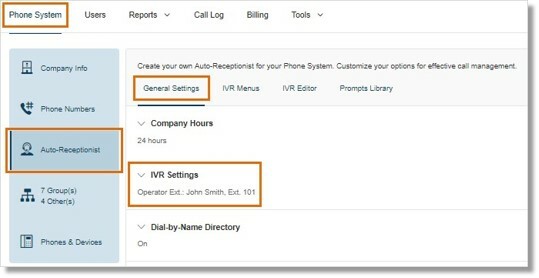 Go to Phone System > Auto-Receptionist > General Settings > IVR Settings. Enter a name for the rule, then click Next. Select Called Number, then click Select Number. Select the number/s that will handle this custom rule by clicking the checkbox. Click Done, then click Next. Note: The rule is activated when callers dial the selected number. Set the action that will be taken when the incoming call matches the rule. Select Play company greeting or Bypass greeting to go to extension. Under Set Greeting, select Default or Custom. 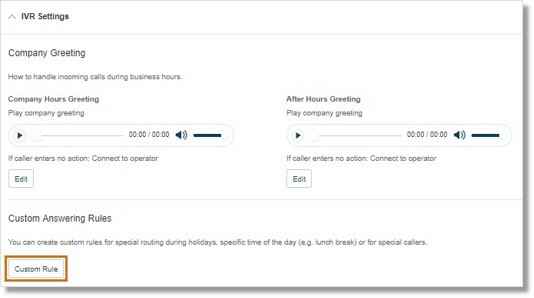 Custom Greeting – will allow you to set your greeting by Phone, Computer Microphone, or by Importing from your computer. To set the custom greeting, click the red Record button. Click Select Extension to select a user to handle the call. Set the next action to be taken when the caller enters no action. Select Connect to operator or Disconnect. Click Save. After you have created your custom rule for the based on the Called Number make sure validate this by clicking Validate Rules. 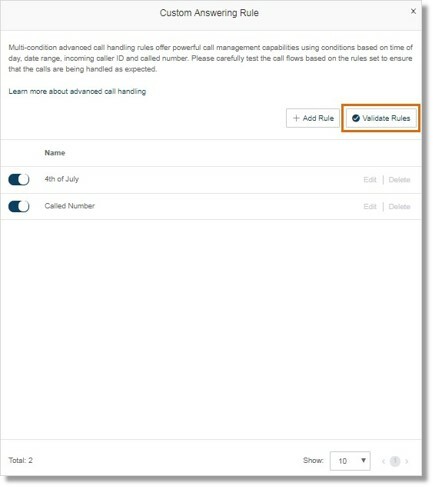 The Validate Rules feature helps determine that the Enabled rules have no duplicates or are not out of date.